Freecharge Donations is the new feature that helps you to donate NGOs.Recently Freecharge has announced that new version app includes this feature.You can download Freecharge app from official Google play store.If you are a first time user you can read my post how to recharge at Freecharge.However,for existing user its a very easy job to find out different services offered by them. 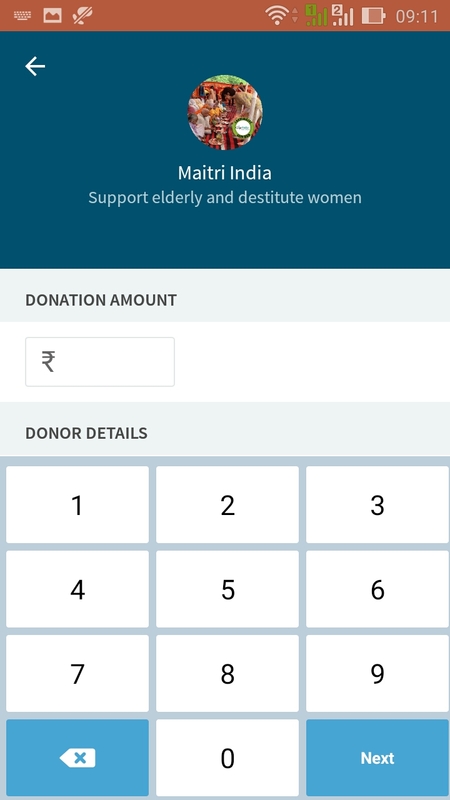 After downloading the app find the “Donate Button” in the bottom of the page.This will open all NGO’S list which are accepted by Freecharge.Select particular NGO foundation whom you want to donate money.Enter the amount and pay using Freecharge balance,net banking or debit card. Right now you can donate to Maitri India (support elderly and destitute women),Majic Bus India Foundation (Steering children towards a better livelihood),The Akshaya Patra Foundation,Abhoy Mission,Foundation For mother and Child Health.I will let you know when they will add more NGOs in the list. You can donate any amount of money from your balance or directly from your bank account.This is a great feature introduced by Freecharge. Note : Donations over Rs.500 are eligible for Tax Deduction under 80G (tax receipt). Tips to get extra money : You can get extra additional cashback time to time just checking latest add money offer code.I advise you to first check Freecharge add money offer on the internet & use the specific promo code while transactions.The amount you load can be used anywhere using Freecharge Go Master Card and additional cashback only At Freecharge.